Here's Where You'll Find Our Selection of JVC L F210 Turntable Repair Parts! 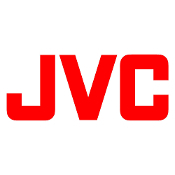 Here's Where You'll Find Our Selection of JVC L A10 Turntable Repair Parts! Here's a Selection of Some Assorted JVC Turntable Repair Parts! Here's Where You'll Find Our Selection of JVC L A21 Turntable Repair Parts! Here's Where You'll Find Our Selection of JVC VL 5 Turntable Repair Parts! Here's Where You'll Find Our Selection of JVC L A55 Turntable Repair Parts!